Two sets of back to back to goals in both halves from The New Saints make it a night to forget for the Robins at Park Hall. Two late first half goals from Jamie Mullan followed by second half goals from Aeron Edwards and Ryan Brobbel resulted in Newtown’s 6th defeat of the Welsh Premier League campaign. 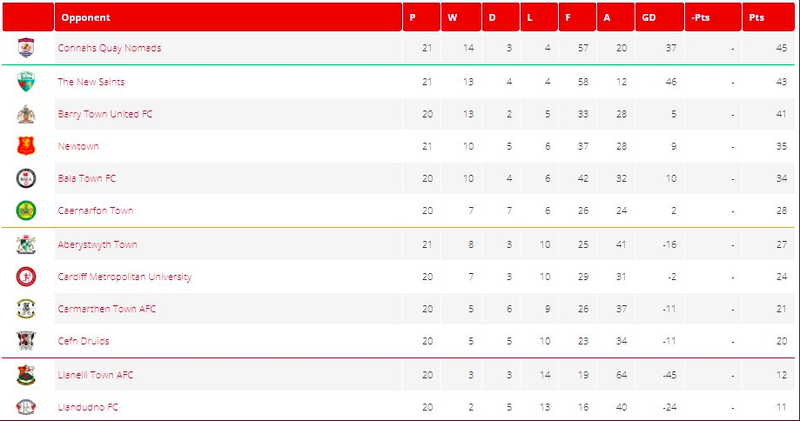 The win for the Welsh Premier League champions now puts them eight points clear ahead of Newtown in 2nd place while the Robins remain sitting in 4th with just one match to go before the end of Phase 1. Bala Town remain one point behind Newtown in 5th with a game to spare and will overtake the reds if they draw or win on Saturday at Cardiff Met. 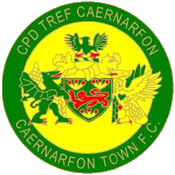 Newtown manager Chris Hughes made a couple of changes from the starting line-up that defeated Aberystwyth at the start of the week. Steve Leslie and Sam Phillips swapped their places for the bench in order for Ethan Jones to come in and new signing George Hughes who joins from Shrewsbury Town on loan until the end of the season. Jake Cook returned to the bench after suffering from illness that was picked up during the festivities. Newtown’s first game of 2019 was under the floodlights at Park Hall, a venue that when the Robins last visited they came from 2-0 down to beat the league champions 4-2 come full time. 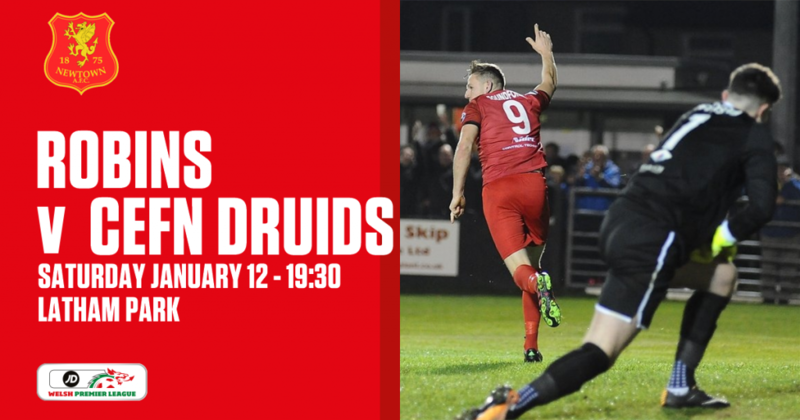 The reds began the New Year well when they created the first opportunity when Luke Boundford produced a header at goal but proved to be harmless for TNS goalkeeper Paul Harrison. After ten minutes into the game, the hosts started to land on their feet when Kurtis Byrne got on the end of a Jon Routledge cross but his header just flew over the crossbar. The opening 30 minutes or so looked to be a quiet setting between the two sides, as Newtown looked to have done their homework. 9 minutes before half time and Ethan Jones went in behind Blaine Hudson, cuts the ball back but unfortunately his next pass is not a good one letting go of a potential threat. It was only a couple of minutes later Newtown go on the front foot again when Callum Roberts forces Harrison into a tight angled save at the near post when picking up a pass from E. Jones. 2 minutes of added time was given for the opening half where Newtown’s hard work showed a real challenge against the Welsh Premier League champions but all of that was lost when Jamie Mullan finds the net past Dave Jones with a low shot. Then seconds later Newtown found themselves two goals down before the half time whistle when Mullan struck again by lobbing the ball over D. Jones to make it a disastrous couple of minutes for the visitors. When the match resumed it was another quiet patch for the next ten minutes until TNS found the net for the third time on the night. This time it was Aeron Edwards who headed home from six yards with Mullan producing the assist. Two goals and an assist for Mullan on Friday night. Seconds later and it was deja vu for Newtown when the ball is given away to Saints’ A. Edwards who sets up Ryan Brobbel before cutting inside and placing his shot past D. Jones. The match was well and truly put to bed with still over half an hour left to play. 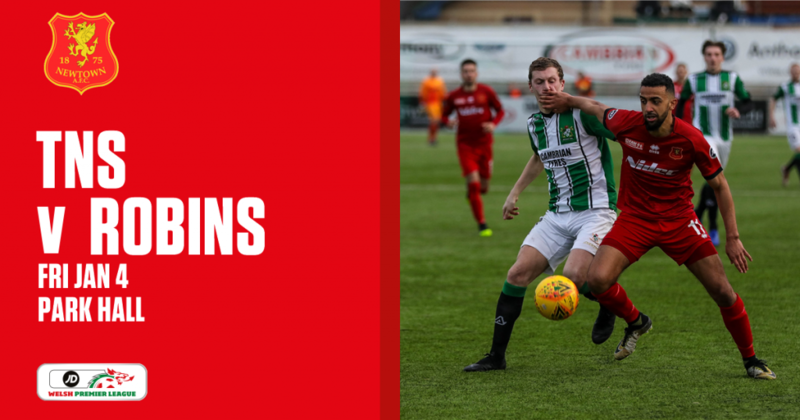 There were moments of TNS looking to seal a fifth goal past the Robins especially on the 69th minute when Mullan was producing the danger yet again. This time he finds space to take a shot which is well saved from D. Jones but a rebounded opportunity comes for Mullan who has his second shot blocked. Luckily D. Jones doesn’t become a lobbed victim for the second time on the night when Brobbel chips the ball over the Newtown goal stopper only to land over the net. Newtown were delighted to hear the final whistle from match referee David Morgan to wrap up a forgetful night for the Robins. The New Saints: 1. P. Harrison (GK) (C); 2. S. Spender, 3. C. Marriott, 4. T. Holland, 6. J. Routledge, 8. R. Brobbel, 10. D. Redmond, 12. B. Hudson, 14. J. Mullan, 21. K. Byrne (9. G. Draper 60′), 23. A. Edwards (11. A. Cieslewicz 73′). Substitutes: 30. L. Dutton, 11. A. Cieslewicz, 9. G. Draper, 17. D. Ebbe, 22. K. Lewis, 20. J. Nembhard. Newtown AFC: 1. D. Jones (GK); 3. C. Roberts, 6. J. Denny (C), 5. K. Mills-Evans, 18. G. Hughes, 23. A. Fletcher, 7. N. Mitchell, 9. L. Boundford, 11. J. Kenton (19. T. Craig Williams 78′), 8. N. Rushton, 14. E. Jones (10. S. Leslie 65′). Substitutes: 17. S. Phillips, 10. S. Leslie, 19. T. Craig Williams, 24. J. Cook, 13. J. Perry, 25. W. Evans.